I haven’t reviewed any books in a while and thought I would get started doing that again. 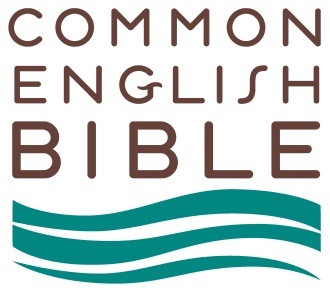 I was given the opportunity to receive a copy of the Common English Bible (www.CommonEnglishBible.com) and thought that would be a good way to start reviewing again. I never heard of this translation before so I was a little interested in it. When I first got saved and started studying the Bible I used the King James Version. While in college I tried the New American Standard Version. Then while in seminary (the first time) I switched to the New International Version. I have used the NIV in my preaching and teaching for many years. I am also familiar with the English Standard Version. I own other translations as well. My plan is to begin by posting the same verse using different translations. This way the reader can compare the CEB with other common and widely used translations. I will post once a week for a while and will work in some information on the team that produced the CEB. The background on the translation team will have much to say about the translation. Some personal preferences first off. It is not a red letter edition and I do prefer red letter Bibles. That is just my personal preference though. The Bible itself is nice looking. It is simple and two-tone in color with “Holy Bible” etched in the upper right. It really is a good looking Bible. The print size is good for reading. The color and weight of the paper are both very good. There is not much room in the margins to write in if you want to take notes. There are footnotes describing words or subjects but there are no verse references to other passages. To me, that is a big negative because I think people should study the Bible and not just read it. I don’t know if the CEB may be available as a study Bible or with references in other styles. The CEB was copyrighted in 2011. The table of contents and list of information in the beginning of the CEB are helpful. I am looking forward to going through the CEB and comparing it with other versions. You can learn more about it at: www.CommonEnglishBible.com. For my review I chose to start at the beginning of the Bible. I am comparing the CEB with the New International Version (NIV); the New American Standard Bible (NASB); the English Standard Version (ESV) and the King James Version (KJV). Four of the translations are pretty similar in their presentation of the Hebrew translated into English. The CEB is a little different and leaves the sentence open. This may seem like a slight change, but we will have to wait and compare other Scriptures. A deeper study of the Hebrew would be helpful. Next week I will be comparing a familiar New Testament Scripture. I received the CEB without charge for the purpose of reviewing it. I just posted a book review that was done by my wife. 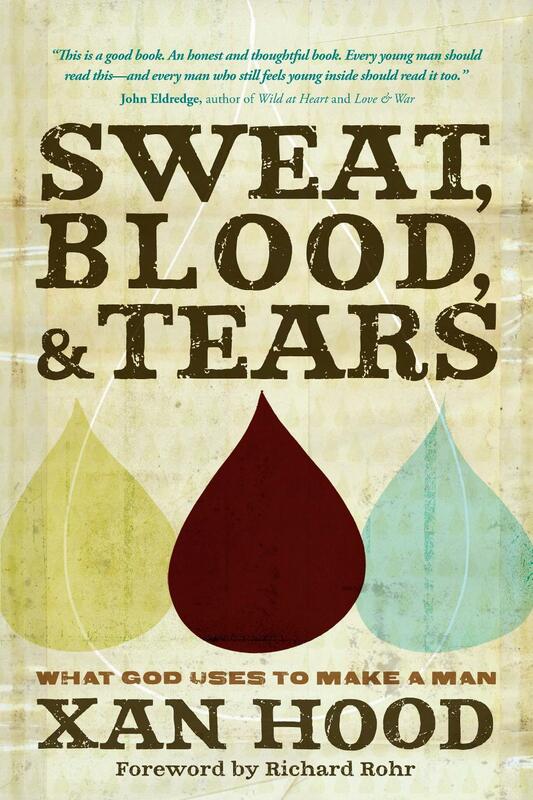 The book is by Dr. Scott Morris. I just posted a book review by my wife Kim. You can read it by going to the Book Reviews page. The book is: Kent, Keri Wyatt, Deeper into the Word New Testament. Bloomington, MN: Bethany House Publishers, 2011. 247pp. I just posted a review of From the Library of A.W. Tozer by James Stuart Bell. You can read it on my Book Reviews page. 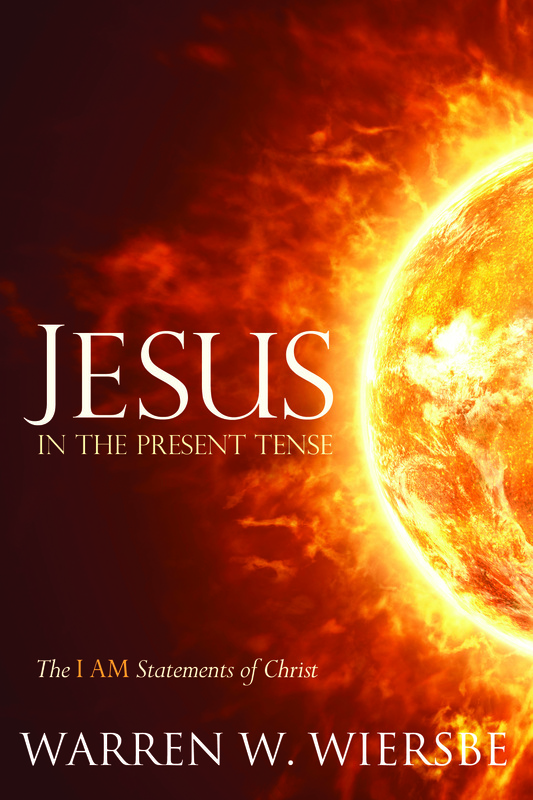 I have just posted a review of Warren Wiersbe’s Jesus In The Present Tense. You can read it by clicking on my Book Review page. I’ve just posted a book review by my wife Kim Mazey. Morris, Dr. Scott with Susan Martins Miller, Health Care You Can Live With, Discover Wholeness in Body and Spirit. Uhrichsville, OH: Barbour Publishing, Inc. 2011. 254 pp. 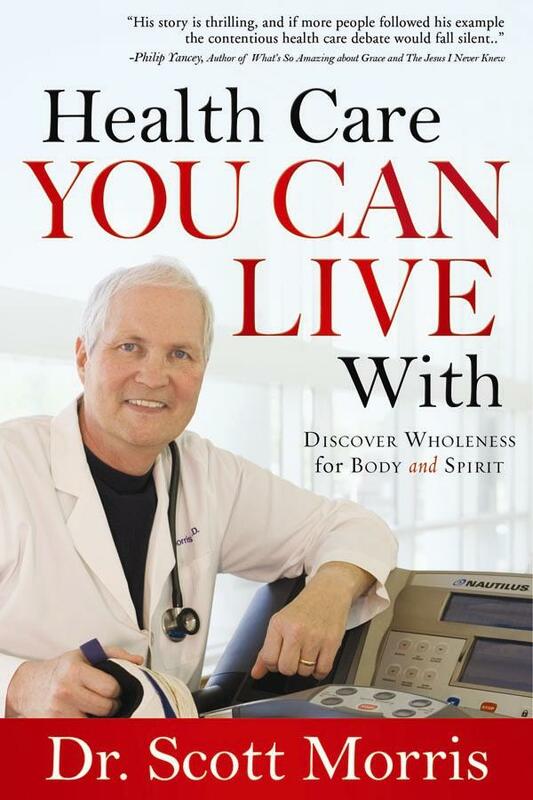 If I could describe this book with one word it would be, “encouraging.” I appreciated Dr. Morris’ book and as a health care worker for more than 30 years I have seen many changes in the health of the general public as well as the ways we address them. ……………. You can read the rest of the review on my Book Review page. I’ve just posted a new review on my book review page. Smith, Efrem. 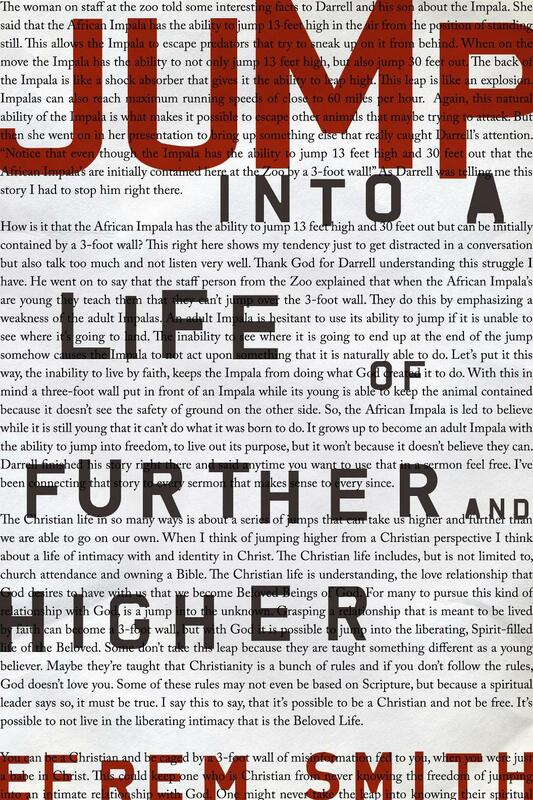 Jump: Into a Life of Further and Higher. Colorado Springs, CO: David C. Cook, 2010. 183pp. I’ve just posted a short book review on my book review page. Along the lines of young men growing in maturity, let me offer you a good quote from www.jcrylequotes.com. Young men, I want to save you all this sorrow, if I can. Hell itself is truth known too late. Be wise in time. What youth sows, old age must reap. Do not give the most precious season of your life to that which will not comfort you in the latter days of your life. Sow to yourselves rather in righteousness: break up your hard ground, don’t sow among thorns. Thoughts For Young Men, [Moscow, ID: Charles Nolan Publishing, 2002], 17. This is a revised edition of Wiersbe’s popular “Be” series. Some of the content has been updated and there is a new introduction and study guide questions added by Ken Baugh. I would label Wiersbe’s commentaries as devotional and practical. They are not highly academic and there is no bibliography given. They are useful, especially for newer Christians or those who want a pastor’s practical insight to a particular book of the Bible. At first I wasn’t sure if a revised “Be” series was entirely necessary. 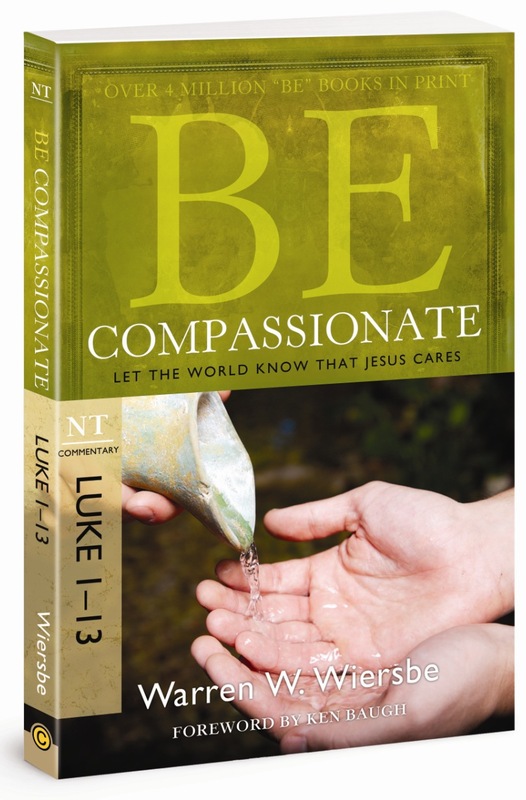 As I went through the revised Be Compassionate (Luke 1-13), I was reminded of Wiersbe’s practical insight. There are twelve chapters that will take the reader through the first thirteen chapters of the Gospel of Luke. I like Wiersbe’s writing style and this approach to a commentary. You cannot solely use this commentary for preaching or teaching preparation, but it can be a good compliment to more scholarly commentaries. There are study guide questions at the end of each chapter to help an individual or small group dig a little deeper into their study. Some of the questions make use of other Scriptures and others ask the reader to think and dig deeper into what was read. There does not seem to be anything here that would be too difficult for an inexperienced believer to understand. But there should be an experienced, maturing believer leading the small group. The questions look like they would generate discussion among small group members. Taken for what it is, a basic devotional commentary, I would recommend this commentary for other believers. It can be used with benefit for those who want to study Luke 1-13 on their own or in a small group. Pastors may not need this version, but they could benefit from owning and using the “Be” series. I received this book for free and offer objective feedback. 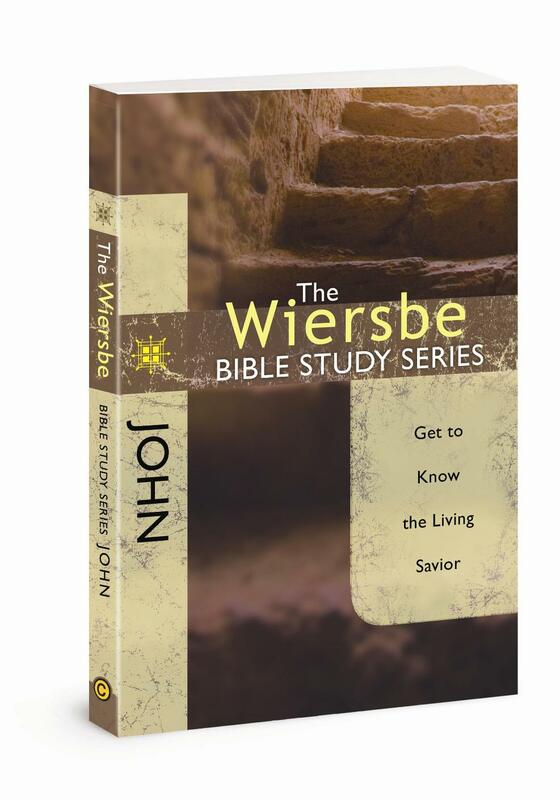 Wiersbe, Warren W. The Wiersbe Bible Study Series: John. Colorado Springs, CO: David C. Cook. 2010. 186 pp. Let me start by saying that I have owned the entire “Be” series of commentaries by Warren Wiersbe for many years. I have used them during sermon preparation at different times throughout my ministry. I have benefited from using them and have recommended them to others. Now, all that aside, getting this book to look over and review is a blessing. From the back cover; based on Dr. Wiersbe’s popular “Be” series, each study provides topical, relevant insights from selected books of the Bible. Designed for small groups, this twelve-week study features excerpts from Dr. Wiersbe’s commentaries on John, Be Alive and Be Transformed, along with engaging questions and practical applications, all designed to help you connect God’s Word with your life. There is a short introduction to the book of John that covers some basic background information. Next there is a short chapter with tips on how to use the book and get the most out of your study whether on your own or in a group. The study of John is then broken into twelve chapters. Each chapter is divided into the following format: Getting Starter; Going Deeper; Looking Inward; Going Forward and Seeking Help. Before you begin each study you are encouraged to pray and read the Scripture passages that will be studied. There is a reading from the commentary and questions based upon the Scripture passage. Space is given in the book to record your answers to the questions. Tips are given for those who may be using the book for group study. These tips are designed to encourage interaction among group members. There are Real-Life Application Ideas given to the readers also. The question from lesson one has to do with baptism and specifically how well does the reader know their church’s stance on baptism? I thought that was a pretty good question. Each lesson closes with seeking God’s help through prayer to work in your life in various ways. The reader is encouraged to follow through on what they have learned. The same format is followed in each chapter. This is a simple, straight forward, easy to use Bible study. If that is kept in mind I could see its value and benefit to many Christians who desire to grow in their knowledge of God and His Word. Brother Wiersbe has the mind of a scholar and the heart of a pastor. He takes the deep things of God and makes them understandable to anyone. I would recommend this book be used by young and old Christians individually or more importantly in groups. I received this book for free and offer objective feedback.